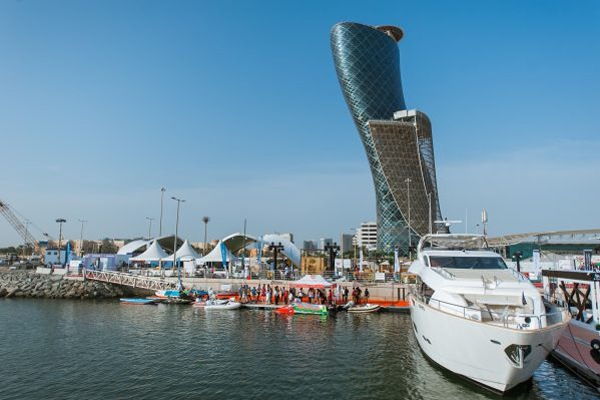 Adibs witnessed the launch of state-of-the-art leisure marine equipment. Emirates Riviera Company unveiled the yacht (RCAT50) in the ‘Fly Bridge’ version, the Boat (Rcat38) and the Riviera enclosed Abra, in addition to showcasing its luxurious yacht, Integrity 55. Gulf Craft, the UAE’s leading yacht and boat builder, showcased its latest recreational boating (Oryx 37) design, and three different models of the Majesty including- Majesty 100, Majesty 135 and Majesty 62. Plus, the display of three boats from Oryx and Silver Craft, a line popular amongst the fishing community. Delma Marine launched the Boston Whaler 210 Montauk boat, the first of its kind in the Middle East. Two yachts were announced for the first time in the region - the luxury yacht Monte Carlo (MC6-2019) from ‘SF Yachts’ and the UK-origin ‘Princess 55’ yacht from Princess Yachts. The event also witnessed launches from Emirates Boats Company, the world’s first finest boats and powerboat range, which included the ‘carbon epoxy’ infused centre-console 48 feet fishing boat built in the UAE, a House Boat by Al Kous; The Sea Star Racing boat, the Sea Star RS boat, the Tullio Abbate Kid and the Elite 27 manufactured by Sulaco Arabia, as well as the latest models of the Drone operated Hull cleaner by Keel Crab. Also unveiled during the event was the 9.5-metre ASIS Amphibious Beach Lander Boat and the ASIS Amphibious Boat by Asis Boats. In addition to the launches, several exciting marine activities took place and kept visitors of all ages entertained. Visitors were able to take part in yacht and sailing trips, fishing competitions, and had the opportunity to witness stunt performances such as Jet Ski and Flyboard shows. Motorised and non-motorised watersports, such as the ‘Open 60’ yacht sailing experience with Pindar, Keel Boats sailing experience with Abu Dhabi Sailing Academy; the Mako slingshot experience, a carbon fibre-powered and motorised water skateboard experience fascinated visitors. There was also a range of non-motorised water sports and activities by Watercooled, including Water Yoga; Kayaking; Ecodonuts; Dingy catamaran and Windsurfing. Other activities included Seakart experiences; a traditional Abra Experience with Abu Dhabi International Marine Sports Club and an ‘Introduction to Boating’ event, sea trials with Marine Concept, among many others. Exhibiting companies at Adibs were extremely pleased to be part of the inaugural edition of the show as a Founding Member of the 2018 event with the high footfall which was witnessed. In addition, they praised the pivotal role of the show as a leading platform to enhance communication and networking with their global counterparts and explore the marine market of Abu Dhabi. They also commended Adnec’s organisation of the show and the unparalleled range of world-class facilities of the Abu Dhabi National Exhibition Centre which formed the ideal destination to showcase the latest innovations in the luxury yachts and boat industry while emphasising easy access to the location and attracting a recognised number of local, regional and international visitors.